This is another recipe that is fabulous. A good recipe to use up some of your turkey leftovers after Thanksgiving. 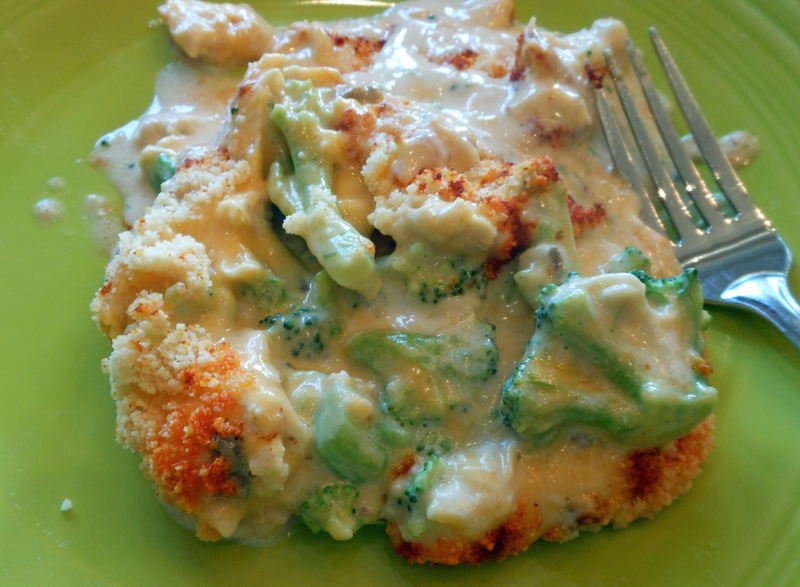 Arrange broccoli in a lightly grease 9 x 9-inch baking dish; top with chicken. Place cheese over chicken. Combine milk and soup, stirring well. Pour mixture over cheese. Bake at 350 degrees for 30 minutes. Sprinkle with Parmesan cheese and paprika. Bake an additional 5 minutes. Follow directions above. Microwave at HIGH for 9 to 10 minutes, giving dish a half-turn after 5 minutes. Sprinkle with Parmesan cheese and paprika.